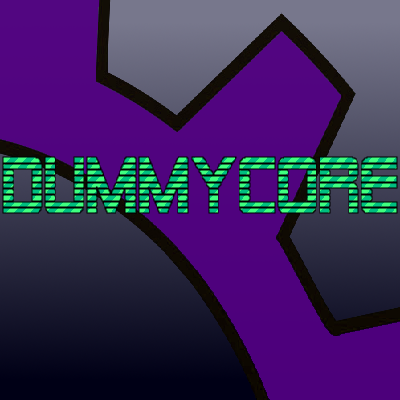 This mod is the unofficial version of Modbder's mod, DummyCore, with some changes and fixes. This work, DummyCore Unofficial, is a derivative of DummyCore by Modbder, licensed under a Creative Commons Attribution-ShareAlike 4.0 International License. DummyCore Unofficial is licensed under a Creative Commons Attribution-ShareAlike 4.0 International License by TheLMiffy1111. The changes are found at the commits on my GitHub fork of this mod. For more information, please look at the github repo or the original mod. i was just wondering if you could delete the 2 blank tabs in creative from thaumic bases. The creator says it comes from dummy core not from his mod.